World’s Smallest Sock Monkey: Tiny version of the classic stuffed animal. One of the fundamental laws of the universe is that making something smaller makes it cuter… even if it was already pretty darn cute to begin with. 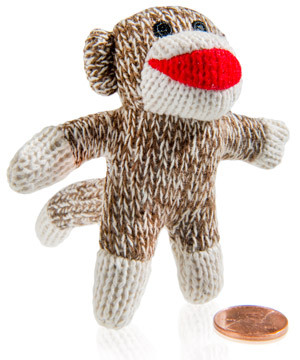 The World’s Smallest Sock Monkey is a handheld version of the iconic children’s stuffed animal. Despite its itty-bitty dimensions, this squeezable monkey retains the woven, handmade look of the original toy. Keep the precious primate as a memento of your childhood or admire it as an adorable desk charm. Wherever you keep him, the little guy’s big red smile will charm a grin right onto your face too. If sock monkeys were invented today, they would probably be imbued with superpowers, motion-activated sound effects, and collectible accessories. Luckily for us, sock monkeys are a genuine piece of old-fashioned Americana with the simple charm to match. The World’s Smallest Sock Monkey isn’t made from socks (unless someone found the world’s smallest feet), but the fabric doll still has the delightful DIY aesthetic that’s made the original beloved for generations. Tiny sock monkey is tiny! 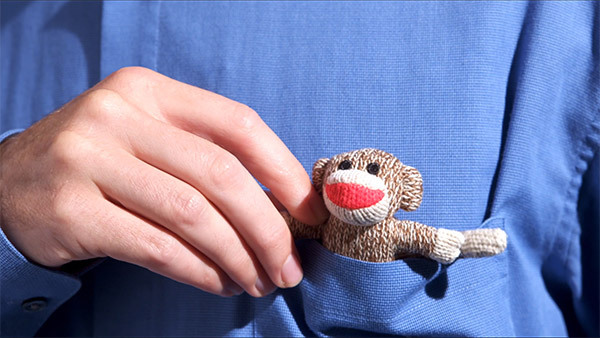 Standing only a few inches tall, the World’s Smallest Sock Monkey is the perfect size to unobtrusively live on your desk as decor, serve as an especially charming good luck charm, or perform emergency child entertainment in your purse. Despite its small stature, you get all the features of the original design: long tail, black eyes, and big red lips (plus teeny-tiny cuteness)! Question: Do the eyes pop off easily? 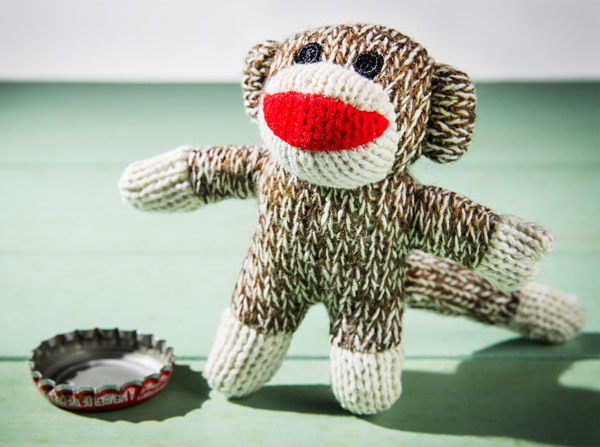 Answer: Despite being cute as a button, the World’s Smallest Sock Monkey is button-less. The eyes are textured fabric that mimics the button design of the original. Question: What other items have you sorcerers shrunk down? Answer: We have a big list of tiny gifts!